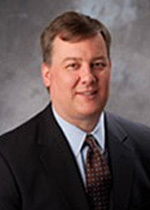 Brad Close is NFIB Senior Vice President for Public Policy. He oversees multiple departments and entities, including Federal Public Policy, Political and Grassroots Department, the NFIB Research Center, and the organization’s political and nonprofit fundraising operations. He is one of several Sr. Vice Presidents reporting directly to the CEO and President, setting policies for the organization, developing strategy and managing multiple teams of personnel. Brad is responsible for ensuring the organization’s team of federal lobbyists; the NFIB Small Business Research Center; the organization’s political operation; its fundraising program; and its grassroots department. Before his promotion to Sr. Vice President in 2014, Brad served as Vice President in charge the organization’s House and Senate lobbying teams. In addition, he coordinates legislative, political, and grassroots strategies. He served previously as Manager of Legislative Affairs in the US House of Representatives. Prior to joining NFIB he spent eleven years working in the House of Representatives for Congressmen Henry Hyde and Tom Ewing of Illinois, and serving as a subcommittee staff director on the House Small Business Committee. Brad and his family live in Fairfax, Virginia.